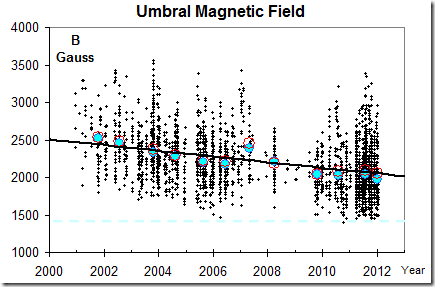 First Estimate of Solar Cycle 25 Amplitude – may be the smallest in over 300 years | Watts Up With That? “The slowdown we see now means that Solar Cycle 25, peaking around the year 2022, could be one of the weakest in centuries.” He is very likely to have got the year wrong in that Solar Cycle 25 is unlikely to start until 2025. And, yes, that means the end of the Modern Warm Period. 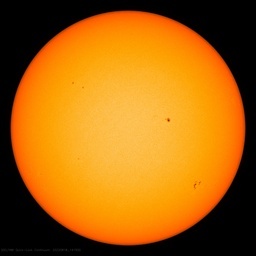 Sun Headed Into Hibernation, Solar Studies Predict –Sunspots may disappear altogether in next cycle. NASA Long Range Solar Forecast – Solar Cycle 25 peaking around 2022 could be one of the weakest in centuries. On the bright side, Sahara desert expansion might slow down or even reverse. 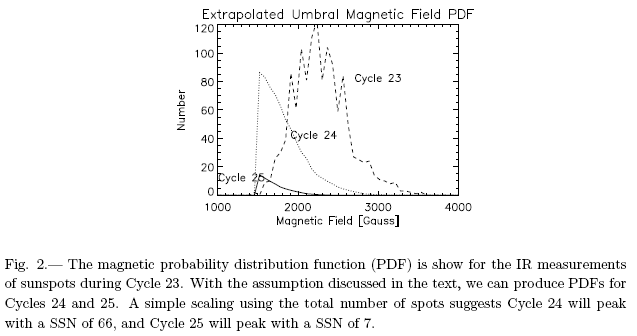 Somehow I doubt the projection of a SSN of 7 will prove accurate. We are looking at a curve fit based on 10 years of data. We do not know if this data is oscillatory or what the oscillation period is, if there is one. L & P may have found the explanation for the various grand minimums through out history, but we do not have enough data to know what the long term behavior of this phenomena is. Lacking at least one complete cycle of data the trend line is only speculation. Nevertheless this is very interesting and thought provoking. I am in two minds about this. One the one hand it appears (if I have my interpretation correct) that we are headed for a couple of decades of rather cold weather and that this is going to have some detrimental effects on global health and food production etc. On the other hand it appears that a new mini ice age is about the only think that will convince people that Gaia of Warming does not exist and that we should return once again to scientific reasoning. I think that we have been lucky that the Church of CAGW picked the late 20th century to pull this scam. If this had all kicked off as we were entering a few of decades of warming there would be no way to refute their mad computer generated claims since logic and scientific method have both been well and truly banned from the battlefield. May one suggest we start pumping out CO2 with even greater vigour? Population of nine billion by then to feed…..
PaulR – you’ve got it backwards. The Sahara expands during cold periods and contracts during warm periods. Not only will the Sahara expand, the SW US, Australia, and other areas at the intersections of Midlatitude arid zones, Mediterranean zones and Subtropical arid zones, will be in dire straits, with megadroughts rife. And as I write this, here in California, we are probably looking at a record dry rainfall year, unless the persistence of the current block ends and the MJO breaks out of its current death spiral. David Archibald has not been timid suggesting a big step down in in solar activity. He predicted this current cycle would be much less active, and he was right: The NASA prognosticators (who get paid to prognosticate) were saying, “Eh, it will be about the same as the last one” But even David Archibad was thinking Dalton-like minimum – This looks more and more like a Maunder magnitude minimum. The Grand Minimum correlates strongly with colder temperatures. We live in interesting times. PaulR: The Sahara Desert has been greening up, shrinking for some time now as a Google search will show. Way ahead of you. That’s why I moved from Denver back to Florida a couple years ago. Not sure why this signals the end of a warm period. So will the Sun’s IR be that much less during a La Nina (when the oceans absorb IR)? Will El Nino’s not let go of OHC during cycle 25? How does a low cycle translate into measurably cooler temperatures on the ground? I am aware of cloud seeding and cosmic particle theories connected to that. But we are not talking about lots of clouds versus none. We are talking about a tiny bit of extra seeding available from cosmic particles. These tiny differences will show up as frigid temps? Sorry but I don’t see how the math lines up. We just need to work out what we are doing to cause all this reduction in Sunspot activity. No doubt modern “science” will come up with some new reason justifying a few million in research into anthropogenic sunspot manufacture or whatever. Is that where we are now coming to? Isn’t it time we started to paint wind-mills black. Loads of ‘free’ energy and a decreased albedo. That’s a Win-Win scenario for when the next ice-age cometh, isn’t it? There is a 208 year cycle observed in solar proxies for many centuries. Over recent centuries the peak in auto-correlation is for 210 years. Based on this, two weak cycles were clearly expected to happen now. Low-solar-activity periods are associated with lower general temperatures, but larger latitudinal temperature gradients. These conditions lead to more/more energetic storm conditions (especially tornadoes, but TCs too), more severe droughts, and declining agricultural/botanical productivity. Glacial conditions are associated with extreme droughts (esp. in mid-latitudes where lots of folks live), and stupendous winds. Large tracts of the US central plains are typified by wind-scour lake basins and/or sand dune fields that formed and expanded during the ice ages. Anyone who thinks colder is better is – – to put it gently – – out of their frikken mind. Careful now, let’s not make too many predictions layered over the solar prediction, we may end up with the prediction snowball effect or PES, therefore increasing the blogging effect or BE, then things are really out of control in the BS effect, or BSE. Good to plan for colder. Plan also what you will eat..
On the other hand, it’s refreshing to see the forecast of doom for once focusing on too LITTLE of something instead of too much. Oh – and something completely and totally outside of possible human influence. The stratosphere is clear and volcanic activities remain quieter and at a lower altitude. More tranquility in the years ahead if the present conditions hold fairly steady. A clear stratosphere will aid warmth and buy time. Low altitude volcanic action will aid it more should we get it. Then as the next minimum gets toward bottoming look for the volcanic activities to increase and perturb that tranquility again. Yeah, it’s about time to shift back to ice age warnings. It seems the activists have extracted just about all they can from AGW, it’s been a really nice run. Just look at the charts. Combine this and the current “Cold PDO” that is underway in the Pacific, and I would expect to see some very cold winters in the coming years here in North America. You have it completely backwards–during the Ice Ages (aka “cold weather”), the earth was cold and because it was cold it was dusty and because it was dusty, the dust found its way into the oceans and onto the glaciers where it was preserved for us to study. I find myself on the horns of a dilemma; I want a cold period so the great fraud and it’s perpetraters can be destroyed once and for all but fear for the widespread disruption to food supplies that such occurrence would precipitate. Do we have an accurate record of conditions in the LIA as they applied to Australia and Canada for example? In the latest cool period from 1940 to 1975 or so Australia experienced a prolonged drought as well as extensive wet seasons particularly in the early 70s. Our winters tended to have colder winters with more frosts but summers still produced hot days and, from our farm records, we managed to produce good crops and fat cattle. I know Dr. Archibald predicts the northern extent of wheat growing in Canada will move south as temperatures cool mainly because a reduction in the length of the growing season. That probably won’t affect Australia since our wheat areas are controlled by precipitation rather than length of season. If shorter seasons affect the Canadian grain crop would it also affect other northern grain growing areas in the Ukraine and Russia? My fear is that the preoccupation with Global Warming is preventing research into the far more serious problems associated with a deep cooling. A CSIRO wheat researcher has stated that “there is no point in considering cool weather effects on plants because it’s not going to happen”. This sort of attitude is bordering on dereliction of duty yet is the dangerous outcome of poor and fabricated science. Heads really do need to roll. you just know though, that the official ‘line’ is going to be – ‘we’ve added so much CO2 to the atmosphere that we won’t have a prolonged cold spell’ ! it’s the mantra that R Gates and lazy teenager and all the other trolls will bring, not mentioning how all else that they hold dear in their religion has been shown to by junk science, worshiped in their junk science web sites. current climate science must work to present plausible theory as to the limits, if any, that CO2 can mollify what well looks to be coming. Shhhhhhhhhhh. Too many here already. Tom, what about the house prices? Florida could use many more wealthy retirees. Even wealthy refugees. How many people is the world projected to have by 2030? Going to be real interesting on how we feed them all. Cryptic replies by Lief may be accurate and effective, but don’t communicate his point. Well, they may if you have a Doctorate and share his approach. Any chance he could make an argument that the modestly knowledgeable could follow and comprehend? The question that immediately comes to my mind is that if the solar “conveyor belt” is predictive of activity two cycles hence, what is the conveyor belt saying now about cycle 26? Also, while the Sahara does tend to green when climate warms (because the ITCZ migrates farther Northward away from the equator), if climate is due to cool, the Southern edge of the Sahara will begin to dry out again as the ITCZ’s maximum summer location migrates Southward. Somewhere back in the archives on this site I asked Svalgaard his prediction for 25, and he claimed that it would be large. Stephen Wilde does his best to hypotheize what may be driving the cooler temperatures observed in a prolonged period where the sun is quiescent. What can’t be disputed is the cold temperatures associated with the Maunder and Dalton Minimums. I don’t think anybody ought to pretend they have got it figured out – but Stephen Wilde’s observations and theories are a good start for an answer to your question. Serious non snarky question: what is most likely scenario as to how IPCC will acknowledge this? will it be completely ignored? Oh c’mon…we all know that the Sun and its activity don’t have anything to do with climate here on Earth! It’s all the Eeeeevile gas! And SUVs! And capitalism! I actually don’t think that Solar Cycle 25 will be as low as shown in some of these very early forecasts, but regardless, it will be a fantastic time to compare those effects to the 40% increase in CO2 and similar increases in methane and N2O. Cryptic replies by Leif may be accurate and effective, but don’t communicate his point. Well, they may if you have a Doctorate and share his approach. Any chance he could make an argument that the modestly knowledgeable could follow and comprehend? 1) the sunspot number is artificially too high [inflated] by 20 after 1945. 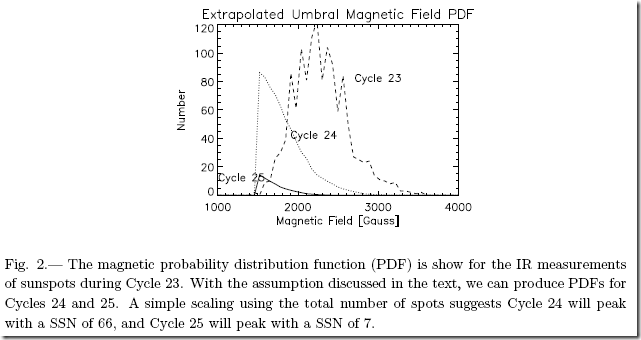 1) the sunspot number is artificially too high [inflated] by 20% after 1945. This kind of thinking should be a huge red flag for you and others. It shows that are not really a skeptic in the true scientific sense of the word, as a true skeptic doesn’t “want” anything in particular to happen. What this kind of thinking shows is that your thought processes are guided by some burning desire to prove your “side” right, which is of course, more politically motivated and exactly as expected for a certain segment of those who would otherwise call themselves “skeptics”, but in reality, are nothing of the sort. You give true skeptics a bad reputation. Indeed, but in pointing this out, you are taking away the last best hope of skeptics who’d like to find something…anything…to pin the late 20th century warming on other than the 40% rise in CO2 since the Industrial Revolution. Now, as we are likely looking at a Dalton or even Maunder Minimum in the next few decades, it will be interesting to see how a very quiet sun counteracts the contined forcing from CO2. I cannot imagine a more exciting time to be studying the sun and the climate in general. We live at a very fortunate juncture in history. And BTW, thanks for your excellent website. I can only marvel at the nonchalance on this subject (feigned no doubt) of the climate scientists who’ve built their careers around the pseudoscience of global warming. They must be sweating bullets over this. What I’m not clear on is when this is supposed to kick in sufficiently to effect climate? 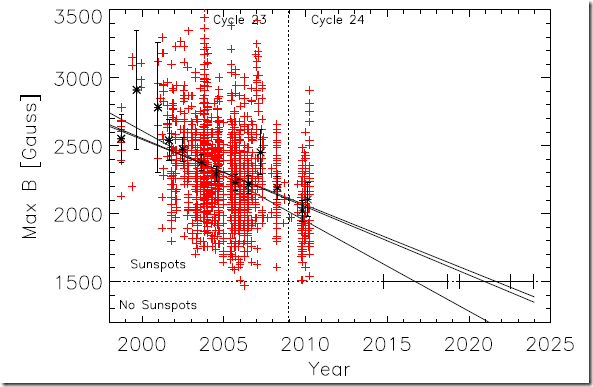 One chart seems to show sunspots will disappear around 2015. Can someone with a better handle on this set me straight? If L&P are correct [which I think they are] we will have to revise what we mean by ‘solar activity’ as the magnetic fields of activity will still be there, but sunspots will not form. The solar wind and cosmic rays and F10.7 and UV and other indicators will still cycle as usual [perhaps with a bit smaller amplitude]. Perhaps the sunspot number will then no longer be a meaningful indicator as during the Maunder Minimum. At any rate, there will be minimal influence on climate [IMHO]. Your latest research shows that TSI has in fact been relatively constant for over a century. Within that TSI there are varying lightbands/energy bands. There has been speculation that UV can and does change the pattern of the NH Jet Streams, as in the potential cause/effect of the Russian heat wave of 2010. Is there a way to also reconstruct the spectrum within the TSI of the last century in order to better project future variations in climate that may be caused by the sun? Not to be off topic, but this is a great website where Dr. Svalgaard takes the time to answer questions directed at him. A very learned man who is kind enough to share his information with folks who have questions. Indeed, but in pointing this out, you are taking away the last best hope of skeptics who’d like to find something…anything…to pin the late 20th century warming on other than the 40% rise in CO2 since the Industrial Revolution. Which explains the hostility towards what I say. but that ‘last best hope’ is just wishful thinking [as you say ‘something….anything’]. One should not let what one wishes to happen control the science [this goes both ways…]. This is a recent invited talk http://www.leif.org/research/The%20long-term%20variation%20of%20solar%20activity.pdf on sun-climate given during a Workshop in Japan for an audience of climate scientists. They didn’t like it either, as the AGW crowd also needs the sun to explain climate variations before SUVs. At any rate, there will be minimal influence on climate [IMHO]. I can understand why you say this, after having read your remarks here and materials on your site. The interesting thing, though, is an uncanny correlation between cycle length (not magnitude) and climate. This correlation goes back well into the 1800’s and correlates to both warming and cooling (not just one small 30 year period of warming the way CO2 correlates). There definitely appears to be something going on that couples Earth’s climate with solar cycle length. I believe Svensmark has the answer but we shall see in the coming years. The recent data on spectral variations are very preliminary and need to be confirmed by further observations before we go off to speculate. Figure 3 of http://www.leif.org/research/The%20long-term%20variation%20of%20solar%20activity.pdf on sun shows some possible effect of the [purported] inverse relationship between UV and Visual solar irradiance. Leif, in what time-frame are we likely to see an adjusted international sunspot number series published and are there any plans to flesh out the early cycles with Vaquero’s recently unearthed records? Hopefully two years down the road, although I’ll predict that some people will continue to use the old series when and if it matches their pet ideas better. and are there any plans to flesh out the early cycles with Vaquero’s recently unearthed records? THIS confirms the view we and others expressed two years ago (and Timo Niroma years before that) and have since re-expressed, although maybe it is a bit ‘OTT’ (or perhaps one should say UTB – Under The Bottom on this). A Russian associate, Kirill Kuzanyan eg has also (mid-last year) suggested a low solar cycle 25. It is ODD CYCLES (and odd cycles pretty well only) which control long term world average temperatures (nothing to do with CO2, Cosmic Rays to any extent or as far as we can see to any extent EVEN cycles) so this is an important projection. Slide 17 in our submission to the UK Parliamentary inquiry into Dec 2010 supercold (which we predicted): suggests a Dalton type rather than this projected Maunder type minimum but I would say the our uncertainties (at this stage) do not rule that out. I agree the data input to get the result here is probably too small to give this prediction much confidence in terms of Dalton v Maunder levels but I have to ask; whatever happened to error bars? – are they saying 7+/- 1, 7+/-7, 7+10/-5 or what? Many thanks for the link – seems an enlightened way to do things! Sad if people go [their] own way after all that effort but inevitable I suppose. It is always a pleasure to have a visit from Dr. Svalgaard. Agree with him or not, he is a genuine scientist. Look what he did in the quotation above. He challenges claims about proxies, sunspots, with compelling evidence. I wonder if Dr. Svalgaard would be willing to present a seminar for Phil Jones, Keith Briffa, Michael Mann, and other members of The Team who just cannot get their minds around the idea of empirically validating claims about proxies. David, for whatever reason, the temp trend of the past 14 years has been one of cooling in the upper midwest. I don’t see that changing in the near term future. Food production is going to be a critical issue. During the past warm period production was consistently rising. Now that it is cooling off, production variables have increased. “Indeed, but in pointing this out, you are taking away the last best hope of skeptics who’d like to find something…anything…to pin the late 20th century warming on other than the 40% rise in CO2 since the Industrial Revolution. Now, as we are likely looking at a Dalton or even Maunder Minimum in the next few decades, it will be interesting to see how a very quiet sun counteracts the contined forcing from CO2. I cannot imagine a more exciting time to be studying the sun and the climate in general. We live at a very fortunate juncture in history. The rise in co2 is correlated to warmer temperatures. It is however, not documented to be the cause of warmer temperatures. I do hope you have read some of Dr. Svelgaard’s data and understand that the climate models failure to replicate the early 20th century warming with the now known parameters of solar shows that even when parameters are established they still fail. I do not write this in jest. I write this as a concerned citizen of the world. I had hoped that the reliability of the models would improve as the knowledge base improved. It hasn’t happened as of yet. One model does NOT prove another model. Emperical measurements validate or null. At this point and time, the operative word is null. I believe the difference is about 2.5% of cloud cover. I recall that is something like 15 w/m^2 cooling. Anyone confirm these figures? There are a few papers on it. There are two things at play with respect to GCR’s: the fact of the creation of cloud condensation nuclei (CCN) plus the fact they are longer lived than the usual ones because they are slightly smaller having been formed ‘unnaturally’. By longer lived I mean that it takes more time for them to bump into each other and aggregate. They are slightly charged and to overcome that charge they have to hit each other more head-on to stick. During this time and while growing they react well with very short wavelength radiation (scattering it). There is plenty of cooling. The GCR level and be traced historically by looking for 10Be. It is correlated with what the global temperature was historically, some calculate. Is there some sources one could look at to find out more about this? Interesting, Dr. Svalgaard. I wonder why your data vary so from others I have seen. I am embarrassed to admit I’ve not followed your work in detail, but certainly will hence forth. I would especially be interested to get your viewpoints on the connections between solar activity and climate. Through my readings and study I’ve come to the conclusion that there certainly is a modulation of climate that is correlated with solar activity at different frequencies (up to and including things like Bond events) and is connected to frequencies off the Hale cycle, but so noted by others that correlation is not causation! Also However, I am strongly convinced that the buildup of greenhouse gases over the last few hundred years is finally (perhaps since mid to late 20th century) beginning to dominate over the influence of the solar connection. I’d be genuinely interested to hear your “big picture” perspective on these issues. Do you have such a broad stroke paper on your website? And do you have a comparison to the previous map? Have the zones shifted to inidicate cooler zones are moving south? Else, what is your point? To compare with cycle lengths I computed the average temperature for each cycle and that is what is plotted. You should get exactly the same curves as I showed. If we both agree on the curves, who cares what others say? If you do not do the above exercise, what may I assume as the reason? Not to worry, Tom. When the Ice Age kicks in, you’ll be able to walk from Florida to Cuba. And if it gets REALLY bad, you can walk from Cuba to the Yucatan. (Or take a car–the ice will probably be thick enough). I would especially be interested to get your viewpoints on the connections between solar activity and climate. And that’s got to be the LAMEST misdirection I’ve ever heard, R! you’ve come to know and love? But I’m getting ahead of myself–for everybody else, this “R.” character is very adept at using Saul Alinsky tactics like any good obfuscator would in an embarrassing situation like this. Our large collection of climate models is going to experience a severe test (as they use the phrase “severe test”, or “stringent test”, etc.) these next few decades. It should be an exciting time for science lovers, sociologists of science, philosophers of science and all. I liked the table of predictions for solar cycle 24, but is anyone keeping score by some set of metrics? Presumably, the methods that did the best for solar cycle 24 should be given more credence for solar cycle 25. Personally I don’t believe Solar activity is a major direct cause of natural climate variability. If, instead, it has more to do with the relative distances, eccentricity and/or alignment of several planets (and perhaps the Sun and Moon) in relation to Earth, then it is understandable that there may be a broad temporal correlation if such planets are also contributing to Solar activity. But their alignment with the Sun will have different timing (though perhaps similar periodicity) to their alignment with Earth. Of course astronomers could clarify all this. This could explain the apparent lag wherein sunspots hit a maximum around 1950 and yet temperatures did so in 1998. There could easily have been a 50 year lag around the time of the Little Ice Age / Maunder Minimum also without us really noticing due to data uncertainty. The 60 year cycle gives a better indication of possible cause, I believe, as it does appear to correlate with the Jupiter / Saturn resonance cycle which has periodicity 59.6 years. So, if planets can cause this cycle, they can also cause the ~1000 year cycle and maybe others. I don’t think we will ever detect a clear 60 year cycle in solar activity, so it should only be considered a broad indication of long term (~1,000 year) cycles. Besides, nothing else in the data suggests that the current ~1,000 year cycle will collapse to a minimum within 100 to 200 years. We would expect the decline to take about 500 years after the maximum has been passed. This is why I like the near linear trend line (slightly declining) in the above plot of rates of increase. The current rate is about 0.06 deg.C /decade, but it is declining and should start to decline even a little more (being cyclic itself) so I generally feel it is pointing to a maximum within about 100 to 200 years, after which the 500 year decline should start. This would nicely extrapolate the ~1000 year cycle as would be expected: Max in 12th century, Min in 17th century, Max in 22nd century, Min in 27th century. The prediction of Cycle 25 at 7 looks very strange in its sequence. Sure, if the pattern from the last 10 years is predictive. But a straight-line extension in a world where cycles occur seems inappropriate to me. If the last 10 years is part of a cycle – which an eyeball might suggest is possible, then even if the cycles are diminishing over the longer term, the death of sunspots in 2030 is unlikely. I’d guess that data from before 2000 would show cycles and we have just been on the downward part of the last one – even if overall we are heading downward. Colder, yes. 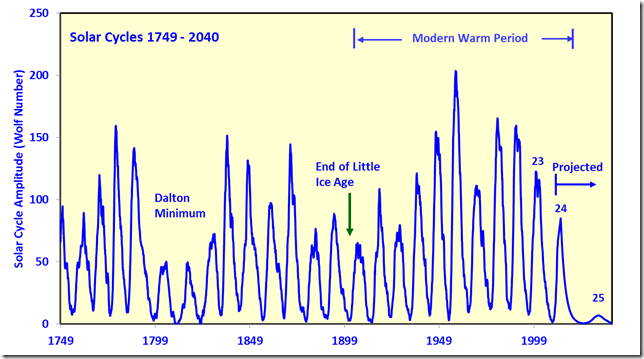 Dalton/Maunder minimum, maybe not. Welcome to the world of a skeptic. One who tries to stay current on knowledge and understands the implications of using kowledge. My wish to you is to share it with others. Hi, from a big fan of WUWT in the Middle East. I’m up on the Straits of Hormoz where I run a port. While it maybe hotting up politically around here, the temperatures have been freezing of late with snow on the mountain tops – We are only a couple hours north of Dubai…..
First estimates, a bit late ? Dr. Archibald, I still haven’t seen anything better to date, have you? Just as I was skeptical of prediction of solar cycle 24 and global warming, I’m skeptical of this. I’ll keep my eye on it, but the only rational response to such an early prediction is skepticism and a request for more data. It’s awful to think that we experienced universal incompetence in our observation of sunspots from 1945 right up until, umm… quite recently. Fortunately we have people working hard to forge a new historical consensus: a recount. Having plotted both sun spots and co2 against temperatures neither present a compelling case to explain the temperature fluctuation, although sun spots might be marginally more convincing. I remain to be persuaded that either will have the great effect claimed. Leif is mostly correct about no modern maximum, the Waldmeier factor along with other changes to the modern method have raised cycles since at least 1945. But the L&P predictions and logic is basically wrong. Both their SC24 and SC25 predictions will be found to be incorrect as it is based on bad principle. L&P have only managed to show us there are more specks during this as yet unnamed possible grand minimum. They count every speck with the same weighting as large spots, more specks drive the magnetic value down. AMP theory which has hindcast correctly grand minima through the Holocene suggests SC24/25 will be around 50SSN each (LSC). Just in a slightly longer time-scale, instead of of a modern late 1900s solar maximum, the event to discuss and blame might rather be the _overall lack of_, and cumulative ocean-heat effects of, a sizable-enough early 1900s grand minimum. My advice is to get published. Well, their prediction of 66 wasn’t right was it? We don’t know what the final peak will be, but it’ll be closer to 90 than 66. So my kind of hunch is that 25 will be closer to 40 than 7. But it’s far, far too soon to see this as anything but wagers. A “forcing” applied to the low number in the current cycle might also be a good idea. Cough. Sequence: solar activity – North Atlantic precursor- spectral approximation of the CET, shows the path of progression for the temperatures variability. but they are often dismissed by experts and non-experts alike as inconsequential. 2.	summer temperatures oscillate but with no upward trend (month of June with highest insolation is as flat as a pancake. Science has failed to predict with decent accuracy even few years of either the temperature or the solar variability. I note that you also predicted a Dec 2011 supercold. Win some, lose some, eh? Enough data for the GHGers to realize that it is the sun not CO2. PaulR— the Sahara is shrinking it is the Sahal, the semi arid area to the south, that is growing. I have to disagree with SteveSadlov on the current state of australia at least. LaNina periods produce much more rainfall in Australia. Most of Australia suffered recurrent drought through most of the ElNino periods culminating in more than 10 years of not quite drought ending in late 2009. Since the end of the predominant ElNinos and the swing back to LaNina conditions Australia has had heavy rainfalls which lifted dam capacity from less than 15% in many areas to >65% by mid 2010 to >>200% by mid 2011 – remember the widespread flooding and for a third summer in a row heavy rainfall with widespread flooding in January 2012. Also, the last major flood event in Eastern Australia occurred in a LaNina year – 1974 – with all the flood events I can recall being during LaNina conditions and all droughts during ElNinos. Australia has no drought conditions to speak of at present – all cities’ dams have better eserves than for years and there is the high likelihood of further flooding – the last 2 weeks have delivered falls of hundreds on millimetres with up to 200 mm in less than 6 hours on the Sunshine Coast on Tuesday Jan 24. I don’t see further reduced rainfall for Australia for some time unless we get a sharp reversal back to extreme ElNino in the future. I predict this will not happen soon. doesn’t believe such an actual relationship exists. But the L&P predictions and logic is basically wrong. Both their SC24 and SC25 predictions will be found to be incorrect as it is based on bad principle. L&P have only managed to show us there are more specks during this as yet unnamed possible grand minimum. Bad principle? L&P are measuring every spot that can be seen. Nothing wrong with that. And what they find is just the opposite of what you think. Their finding is that we are losing the small spots [specks] as they drop below 1500 G.
Now that the usual pseudo-scientists have begun to rear their heads, it is time for me to yield the forum to their nonsense, as no serious discussion can be had. I have made my points for consumption as people see best. Let then the thread deteriorate into the swamp where solar threads always end up. Which ever way the Solar cycle goes it could make any possible man made effects totally insignificant! What concerns me about the above discussion is as soon as there is any apparent evidence against man made global warming past data is reviewed ( such as the Modern Grand Maximum ) and modified ,to discount the new predictions! Having long had a radio amateur’s interest in solar activity, I do hope that estimate is wrong. It’s hard enough hearing any stations as it is, through the ear-battering pollution of the shortwave spectrum by the thousands of switchmode power supplies, digital knickknacks, CFL’s and so on which now surround us, and the signals need every dB of help the sun can give. Incidentally (and I’m not getting at Leif here, as I have great respect for genuine science), it’s been a long time irritation to me that I was only 8 in 1959, when the peak – corrected down or not – was undoubtedly a humdinger. I’ve been reading stories about impossibly long distances worked with impossibly low powers since before I got my ‘ticket; in ’71, and jealousy is a terrible thing – the worse as I’m a low power enthusiast myself. Maybe this is a stupid question, I hope it doesn’t sound sarcastic, I’m just interested in how well you who work professionally with the data now trust it. With known data maladjustment and mismanagement, etc- how trustworthy (say, using an error percentage) would you rate the HadCru temperature data? It seems to me (as one who doesn’t work with it professionally) that all (especially last 30 years) temperature data is now tainted. Do you consider this possibility, do you factor it in to your work or ignore it? No matter how dedicated the scientist I find it very difficult to trust any current modelling using “global” data that comes from politically agenda driven organisations. Temperature data appears to me to be flawed, and will remain that way until I see some real investigation into the data collection and methodologies of those currently in control of it. In all honesty I just wonder if such thoughts come in to your calculations. Their finding is that we are losing the small spots [specks] as they drop below 1500 G.
It should be read as ‘[small spot] deficiency’ and not as ‘small [spot deficiency]’. So, the observations are that we are losing the small spots [that make up the bulk of the sunspot number]. during the Ice Ages the earth was cold and because it was cold it was dusty and because it was dusty, the dust found its way into the oceans and onto the glaciers where it was preserved for us to study. 1. The dust upped the dissolved silica content of the oceans. Spring blooms of diatoms were greater and lasted longer, crowding out the calcareous phytos which are better at fixing (light) carbon and which produce DMS, a cloud-increasing chemical. So, less cloud, warming, more CO2, more warming. Dust settled on the ice, lowering its albedo. Lower albedo, more warming. 2. The Ice Age ends. 3. Fast forward to the 19th century. Steam ploughs are invented and the vigorous cultures of Europe spread across the New World. Land is brought under the plough, Sediment run-off increases, dust increases, both increasing the dissolved silica load on the oceans. Spring blooms of diatoms are greater and last longer, crowding out the calcareous phytos which are better at fixing (light) carbon and which produce DMS, a cloud-increasing chemical. So, less cloud, warming, more CO2, more warming. Dust settles on the ice, lowering its albedo. Lower albedo, more warming. 4. Modern scientists note the increased light C signal, interpret it as an increase in light isotope output rather than a decrease in pulldown of the heavy isotopes, and panic. Others note that panic is good for grants and go round with a big bucket. 5. My energy bill goes up. Then what we need is solid empirical evidence that this occurring? A comparison of past cycles with a speck ratio to spots that would have been counted by Wolf and SC24. I very much doubt this exists. I don’t think publishing makes much difference, if the SC24 does follow its recent performance, subsequently few people may take a note, but the SC25 would make or [break] the hypothesis. Take a closed container of air at room temperature and inject into it sufficient CO2 to raise the CO2 concentration to 5,000 PPM. After two weeks time what will be the temperature inside the container? After one month? One year? With known data maladjustment and mismanagement, etc- how trustworthy (say, using an error percentage) would you rate the HadCru temperature data? People who claim the ‘uncanny’ correlation are happy using the HadCru data [or the GISS or whatever, they don’t differ much], so I’ll just as happily use the same data to show there is no correlation [with or without a lag]. It reversed something like a decade ago. During the last ice age, the Sahara was lush with many rivers and lakes. The Central England Temperature graph for June since 1659 i.e. 350+ years, shows no such trend as suggested by the report. Judging by number of hits at my webpage, the post appears to be popular with the Guardian’s UK’s universities readers, hopefully an eye opener for many. That’s not quite correct, Mark. The Sahara always only gets wetter during transitionary times, i.e. from warm- to cold-periods and vice-versa. But once a warm or cold period is firmly established, the Sahara will dry out again. The Ice Ages will then have solid science to explain their occurrences. But the only “last best hope” I have (together with most other skeptics commenting on here) is for a little bit of rational science creeping into the morass of incompetent fraud which passes for science in the IPCC, the UEA, Meltdown Mann’s “Team” and all the rest. We don’t need “to pin the late 20th century warming” on anything. It is up to you, “strongly convinced” in cAGW as you are, to come up with a shred of EVIDENCE for “late 20th century warming” being caused by human CO2 emissions and that it is such a problem that it is worth throwing the economy and western civilisation under a bus in a desperate attempt to stop it. And your “strong convictions” don’t mean diddly squat with me, especially as all the cornucopia of shroud waving doom forecasts have been convincingly demonstrated to be absolute drivel. Sure it’s probably not TSI, but disappearing sunspots are a clue, as are the ‘large, sparse, and primarily southern hemispheric sunspots’ during the Maunder Minimum. I’m beginning to understand the ‘large and sparse’ given L-P’s work, but why ‘primarily southern hemispheric’? C’mon, Leif, find it. My dear Mr. Gates, I was about ready to take you to task for your oft mentioned solar connections to climate while you castigated skeptics of doing the same thing. That is until I read a subsequent comment of yours above asking for information from Leif re: this very topic. Years ago (5?) I asked Leif for a list of solar books that presented accurate information on solar topics. It was clear that he did not adhere to a solar connection with temperature trends and I wanted to know why. He provided a list of books as well as a link to his website (and his link now with a smiling face icon has been on my favorites bar for years). To state the obvious, I went back to school. After my “schooling” I had to drop my belief that solar mechanics can measurably affect temperature trends on the ground here on Earth. The noise of climate and weather variability (short and long term) buries the mechanistic and mathematic influence on these rather gross measures we currently have on temperature trends. And I will have to add that the influence of the anthropogenic portion of CO2 sweats bullets to rise above that same natural noise. Preemptively, because you tend to beat the CO2 drum, calculating a trend line from the temperature data does not prove that the statistical trend is the anthropogenic CO2 portion of temperature change. Great verbage. Too funny. Would you give me permission to use this quote (substituting any conflicted subject matter for solar)? published in January 2004 is the most meaningful, as being an extrapolation of the “polar field strength”, it reflects the actual functioning of the Sun, as an ECG of a human heart decreasing its beating, or the recurrent lapse in between inhalations. Fairbridge and Shirley think we may be on the brink of another prolonged minimum of solar activity as the current solar motion resembles that of the earlier periods. They say that the last three prolonged minima of solar activity correspond in time to the coldest periods of the little ice age and we may face a deterioration of climates over the next few decades. With the current government focus on CO2 caused warming, being done since it allows the government to regulate and tax more human activity, it is impossible for the government to even acknowledge the possibility of cooling, and thus prepare for it. I expect that when (not if) it comes, governments and their parasitic “experts” will blame it on CO2 somehow. In other words, they will take actions that will make it harder, in many cases a lot harder, for us to cope with the cold. When people get angry about that, they will take the usual actions, find someone, anyone, to blame. Usual result, opponents disappear in the night, foreign countries blamed with possible tensions and even wars to follow, suspensions of freedoms “for the duration of the emergency (forever), etc. It will be like the French reaction to the little ice age famines, in the name of freedom they ushered in killings and war and dictatorship. If the weather changes, blame the witches, that always works. And Jews of course, mustn’t forget to blame the Jews, tradition. This has all happened before and will happen again (unless the wars get out of hand and nukes are used). I think it’s too early to come up with such statistics. It almost feels like a mirrored version of Global Warming scare. Leif, have you done any research on the correlation between spotless days and the climate? NOAA claim (And I have seen alarmists post this so many times, its too funny) they have “worked out” what the GLOBAL land AND sea mean temperature was back in 1880. Can we trust that dataset? I don’t think so. NOAA talk of “laying grids” on the globe, so, one has to ask, was there a thermometer in each grid, in 1880, to calculate that land AND sea mean temperature? Simple answer is NO! So there global land AND sea mean temperature graph is, mostly, garbage. But what we see in that graph is an uptick in temps….from 1979!! Funny that! Can you do this layman a favor with regard to the following questions ? 1. If the TSI is constant, why do I care about cycles ? 2. Someone stated that the TSI had been “relatively” constant for the past 100 years. It is still a challenge I believe to made a detector that is both accurate at any frequency, let alone one that is flat over a wide range of frequencies. How can this statement be made with regard the the sun’s emissions over the range of DC to gamma rays, going back to 1912 ? 3. Does the solar wind have any net charge effect on the upper atmosphere or do all positively and negatively chagred particles net to zero charge ? does anyone calculate this energy input (highly energetic particle with mass) to the earth’s energy budget ?? 5. By what means is the solar magnetic flux measured and what is the expected accuracy ? You know Gates, those are some very strong and uncharitable words you have directed at Lawrie Ayres. Do you really believe that Ayres’ comment demonstrates a lack of functional objectivity, or are you just shoring up your own poorly supported worldview by charicaturing the opposition? Red flag? Politically motivated? Bad reputation? Do you honestly believe that? The solid circles are yearly median and the hollow circles are yearly mean. In other words the change output of the sun is not enough to explain the larger climate effects on earth without some type of multiplier or feedback system. A good number of those theories are based on an inverse relationship to the suns output. And they even have data that points out such a relationship. So just keep in mind that a dormant sun could mean global warming! And I not checked, but I believe that the sun’s activity in the last 30 years of warming up to about 1998 was decreasing (while earth was in a warming period). The basic idea on such theroies is that increased output from the sun causes a reduction in cloud cover, and that is a far great effect then the “change” in increased energy. so dormant sun = global warming. One should not let what one wishes to happen control the science [this goes both ways…]. For those scientists and advocates in the study of climate who are committed toward a certain cause [anthropogenic or solar or other] of the behavior of modern climate, I think they suffer the most fundamental of circular argumentation fallacies. They bring prior conclusions to their analyses and interpretations. …during the Ice Ages the earth was cold and because it was cold it was dusty and because it was dusty, the dust found its way into the oceans and onto the glaciers where it was preserved for us to study. /blockquote I hope this helps. …during the Ice Ages the earth was cold and because it was cold it was dusty and because it was dusty, the dust found its way into the oceans and onto the glaciers where it was preserved for us to study. Looks like my little example on blockquoting lost the brackets on both sides of the “blockquote” and “/blockquote” in the third paragraph, but you can find them as the upper case comma and period, respectively. Try it out–you’ll only be embarrassed a time or two and then you’ll have it right! Your comment — “it is time for me to yield the forum” – reminds me of the song line in the Eagles’ “Hotel California”, namely, “… you can never leave.” Sorry, but I couldn’t resist. Joke–Dear Leif: We might be pseudos but never underestimate the wisdom of distributed processing: …It’s what voted in Obama! I was impressed with Brian Cox’s ‘Wonders of the Solar Sytem’. What stuck in my head was his visit to the Iguazu (sp?) River. He stated that the river (level or flow rate??) tracks sunspots. He stated that there was no known connection. I discussed it here @ WUWT and asked Lief why this was not interesting. He said correlation is not causation. While the Iguazu does, many or nearly all rivers, including the Amazon don’t. Made sense to me…but……why does the Iguazu track Sunspots?? I puzzled it but dropped it but often wondered about this. It would have to be an anomaly that only affected that particular feeder area of the Iguazu. What on earth could it be? So i’m sitting, minding my own business watching a youtube clip below. It seems that, the Hubble was having trouble with a couple of instruments….but only over Brazil/Argentina (..or in the ‘neck of the woods. NASA gave this patch which affected their instruments a name: .the Sourth Atlantic Anomaly. To prevent this, Nasa switched off the instruments while Hubble flew through the South Atlantic Anomaly. Brian Cox suggested, and it’s been discussed here, that perhaps there is a as yet unknown component linking Sunspots to precipitation. What is different about that region is that it has the weakest magnetic field on earth, So, perhaps, the phenomenon driving the Iguazu is as much to do with the Sun as it is the local oddities in earth’s magntic field. Here is the clip. The part relevant to the above is @ 00.43 and from then on. Thx.. Surprised Leif didn’t bite on Scarfetta’s recent offerring. I understand he was Japan bound but was looking forward to him getting involved. I accept that Science says there is no connection between the Iguazu and Sun Spots. Science says that TSI and other radiances cannot account for the earths pertubations of temperature. That in the absence of a trigger, the recent run-up (to about 15 years ago) of Global Temperature Anomaly can only be placed at the foot of CO-2 as a default/absence theory, hence the AGW _________ (you fill in the blank). If all the fossil fuels was combusted, CO-2 still would only amount to, on a scale, to a fart in a Hurricane. So, what do we know about the earth’s field??? –	I think the idea of the global temperature averaging is wrong even if there were accurate records. –	I am doubtful that even the last 10 years are true representation of what is happening on the global scale, but we have to work with the data as they are since there is no alternative. This is a cyclical event (Maunder Minimum) despite the predictions of the CAGW via CO2 scaremongers. The sun’s conveyor belts have slowed down to a crawl and we’re going to be freezing for the next few decades. Now is a good time to start looking for property in Panama City, Panama. I’m confused. Ok, correlation is not causation. That’s clear. But the lack of sunspots during the maunder and dalton minimums (minima?) happening to coincide with very cold climates. especially the maunder…seems quite a neat coincidence. I also note that long range forecasters I follow and respect…including Joe B. and Joe D…..use even brief low solar periods as a wild card for cold. I note also that the sporer minimum from about 1460-1550 also coincided with cold temps. Do we have examples of a solar minimum that hasn’t been correlated with a cool climate? Don’t think there is any, and in any case the ‘number of spotless days’ is strongly [anti]correlated with all the other solar indicators. TSI is not constant. It has a small 1 in 1000 variation and does cause a tenth of a degree cycle in temperatures. We do not have direct high-accuracy measurements of TSI going back before 1978, but TSI depends on a lot of other solar parameters which we have good observations of, so we are able to estimate TSI back in time. The accuracy depends on the resolution. For a sunspot of 2500 Gauss, the error is of the order of 25 Gauss. For large-scale structures, e.g. the polar fields the error is much smaller, a fraction of a Gauss. Am I being overly sensitive to the words? We observe the emergence of flux as a lot of small elements. If those coalesce, a sunspot is formed. If not, no sunspot will form and none would be visible. So: concentrated flux is dark and visible, spread-out flux is not. The whole article is pretty good and worth a read. All I can say is “please be wrong” but I don’t think they are. Do we have examples of a solar minimum that hasn’t been correlated with a cool climate? Thanks for the reply Leif. Thanks M.A.Vukcevic for the graphs – Unfortunately it doesn’t help me to know that they all agree closely, as the organisations involved all are under the same auspices. We are left to assume trustworthiness from people proven untrustworthy. I asked the question because I wanted to know if Leif took that into account. It looks like he considers it’s ok if everyone’s using the same data. Thats fair enough for what I wanted to know. Maybe its just how I’ve come to view it but, with regard to both Sun forecasting and Climate forecasting I think that the theorised variables seem to be uncomfortably stuck in the realms of supposition, and that the theorists thrive on this being the case. It all seems to be lacking in objective (dare I say ‘idiot-proofed’) science. Give it a chance, Leif. Rome wasn’t frozen in a day. That was my reaction. This seems weak to me. . I’m not smart enough to grasp the science, and that makes me humble. But I’m troubled by what appear to be pretty compelling coincidence whereby solar minima seem pretty well correlated with cold climates. How about if we look at it the other way? Generally speaking, are solar maxima correlated with warm periods? That was my reaction. This seems weak to me. It is indeed weak to want to wait for something that hasn’t happened yet. The fact is that solar activity is way down and temperatures are still way up. How about if we look at it the other way? 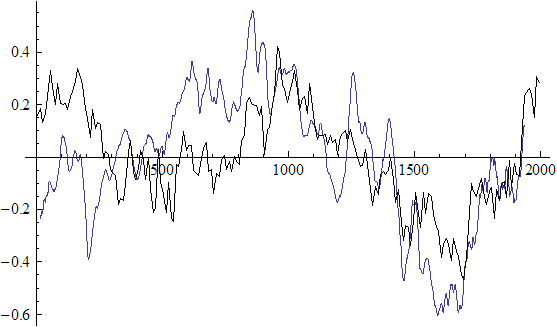 Generally speaking, are solar maxima correlated with warm periods? others will contest that judgement. 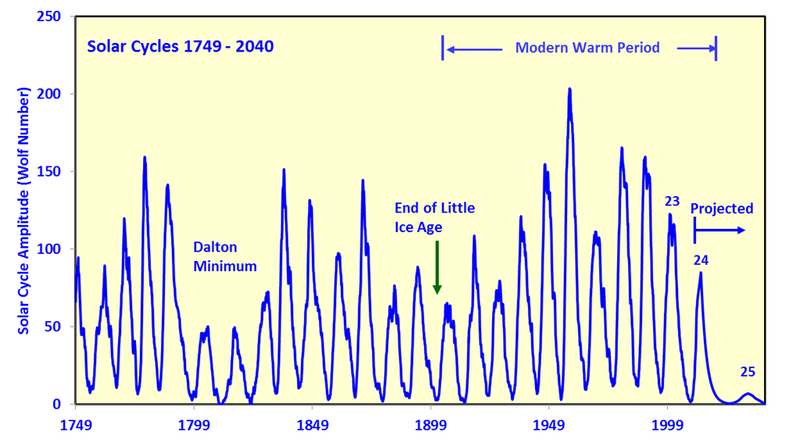 As for the number of years: a grand solar minimum is not just a single year, but many years, and there are also other minimum, like the Oort minimum in the middle of the Medieval Worm Period. Slide 20 of http://www.leif.org/research/Does%20The%20Sun%20Vary%20Enough.pdf tells a fuller story. On the other hand, actual data does not carry any weight for the already convinced flock. Prove me right on that one. Here is a detailed 350 year long temperature – sunspot record. The match between sunspot record and temperature of CET as presented works at times, and fails at other times. Somewhat of a correlation, but not statiscially close enough to be a causeation, in my humble opinion. There is something we are missing as there are numerous breakdowns in the correlation. @R. Gates You’re making the mistake of assuming that an active sun with spot activity is the normal state, since there is no recorded data from the last maximum extent of glaciation approximately 18,000 years ago, you can’t possibly know the state of the sun during this period, was it quiet? is a prolonged quiet sun a normal and frequent occurrence? Did the Ice ages happen? if so, What in your opinion caused the ice ages? Do you also subscribe to the alternative theory (new age drivel, picking up on Velikovsky’s “Nemesis” theory) for the frequent occurrence of ice ages on earth? from none other than one of your fellow Cagw enthusiast Richard Muller, which hypothesizes that our sun being a binary star system with a red dwarf star and as it periodically orbits closer to our sun it disturbs the Oort cloud sending comets hurtling towards the earth, and the collision of these comets cause the ice ages and extinctions. R. Gates: Now, as we are likely looking at a Dalton or even Maunder Minimum in the next few decades, it will be interesting to see how a very quiet sun counteracts the contined forcing from CO2. I cannot imagine a more exciting time to be studying the sun and the climate in general. We live at a very fortunate juncture in history. I share your enthusiasm. Every little piece of information (like Leif Svalgaard’s reconciliation of the Wolf Sunspot numbers and the Group Sunspot Numbers) adds to the excitement. M. A. Vukcevik: Here is a detailed 350 year long temperature – sunspot record. Could you provide us with a graph of temp vs sunspot number, with the points connected showing chronology? Solar forcing on climate has been reported in several studies although the evidence so far remains inconclusive. Here, we analyze the stream flow of one of the largest rivers in the world, the Parana´ in southeastern South America. For the last century, we find a strong correlation with the sunspot number, in multidecadal time scales, and with larger solar activity corresponding to larger stream flow. The correlation coefficient is r ¼ 0:78, significant to a 99% level. In shorter time scales we find a strong correlation with El Nin˜o. These results are a step toward flood prediction, which might have great social and economic impacts. You are more or less correct. Reason is very simple but not acceptable to many. Short term (less then 2-3 decades) oscillations of the CET and the ‘global temperatures’ are mainly caused by the North Atlantic SST oscillations, the AMO. Why 9 years for the AMO? It takes about 9 years for the cold currents of the Beaufort Sea to reach the southern tip of Greenland where it joins Labrador current and the sub-polar gyre, the source of the AMO. This in turn controls extent of the thermo-haline deep water circulation (several hundreds of W/m2 of heat released into atmosphere), which affects the local atmospheric pressure (Icelandic low) and the polar jet-stream above; the Arctic winds drive summer temperatures of the Beaufort Sea, and in doing so close the Arctic’s 9 year feedback loop. But does the sun affect the Beaufort or subpolar gyres? So is the sun final arbiter of natural variability? Solar activity has been on a long-term quiet trend for almost a century. The “Modern Warm Period” (gawd, that is soooo WUWT), has been getting warmer. Using the sun-worshippers’ mantra, when the belt goes to zero, the warm turns to broil. “The Modern Warm Period” ….. hahahahaaa …. The Modern Warm Period is a commonly accepted term. You don’t believe it’s currently warmer now than over the last half millennium, heh. It’s funny, but I can’t find any warmists who are willing to take my bet that the next five years will see cooling, not warming. I don’t get it. They’re all so convinced. I have the feeling they think I’m trying to pull a fast one on them whereby they’ll lose on some unforeseen technicality. Well R. I can read the Mauna Loa CO2 record as well as anybody, and it seems to me that it only records a 25% increase since modern reproducible CO2 records have been collected; not 40%. I take it that you have good traceable continuity between the supposed 280 ppm purported for the “pre-industrial revolution” period, and the continuous Mauna Loa Record. I didn’t know that CO2 measurements were being made at Mauna Loa prior to the industrial revolution; and one thing we know for sure is that CO2 is NOT globally well mixed, with about 4.85% range of variability observed routinely. We seem to be having a rash of “The science is not settled” admissions from folks in the field. Hansen goes back and post adjusts past observed results downwards for GISSTemp, despite vociferous claims by his disciples like Algore, of a settled science. 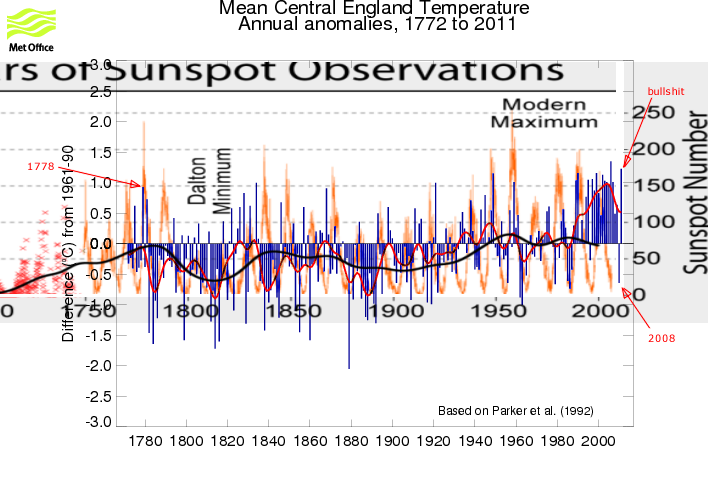 Then Mann dismisses the Little ice age, and the mediaeval warm period, to tape up the kinks in his hockey stick handle. Now we find out that the modern warm period was not a real modern warm period after all. I’m most disappointed to find out that 1957/8 sunspot peak may just have been another ho hum sunspot peak, and not the all time observed record. I really thought it was neat that those who pre-planned the International Geophysical year for 1957/58 (I was there) were geniusses to pick on the biggest sunspot peak of all time; and now we know it was all a bust. Ah well we can all look forward to some more sane period, when the science will really be settled. I’ve been here a long time, mostly hoping to see the end of the stupid windmill craze (in time I suppose they will be wrapped in the solar energy “film”, that is never quite perfected). I sorta understand the solar/climate cycles etc., so was surprised you would pick 2 particular years in your response, thought you were being facetious. Ah well, the good news is, things still need study. Thermal lag Leif, thermal lag. It’s a regionally constrained effect. Ask Mike Lockwood. I’m the first to admit I’m not a very bright guy. I barely passed high school algebra and couldn’t crack 500 on my math SAT. But we make do with what we have, and I’ve managed pretty well in life on decent verbal skills and good old common sense. I read Dr. Svalgaard’s answer to my questions with an open mind, and I don’t find it particularly persuasive. I’ll give him 655 AD on the assumption he’s referring to a range of years as a warm time that coincided with a solar minimum. But 2008? Your statement Dr. Svalgaard, that the sun is quiet and yet temps remain way up seem a bit premature. You talk as if that’s in the bag already. A fait accompli. And that strikes me as arguing from weakness. Let’s see what the next few years bring. With the cold PDO. the cooling soon to go cold AMO, along with the quiet solar might well turn things around in a hurry.This last month alone has seen nearly a full degree C. drop in global temp. anomalies according to Ryan Maue. Let me ask the same basic question this way as I’m confused on this point. Are we to accept the apparent correlation between quiet suns and cold climates as pure coincidence? Yes, the correlation isn’t perfect by any means, but it looks pretty striking on the surface. But 2008? Your statement Dr. Svalgaard, that the sun is quiet and yet temps remain way up seem a bit premature. You talk as if that’s in the bag already. If the Sun is the major driver of climate [and if it is not, who cares about the Sun and we need not have any discussion], then it would seem to me that since solar activity now is what it was a century ago, the climate should also be the same. This automatically takes into account lags and thermal inertia which very likely would have been the same then as now. Since the current climate [e.g. the past 10 years – anything less than that is weather] is very different from what it was a century [more precisely 108 yrs] ago, the Sun is not a major driver. This is how I see it. If you disagree, then do so at your peril, I’m not on a crusade to persuade anybody. If the Sun is the major driver of climate [and if it is not, who cares about the Sun and we need not have any discussion], then it would seem to me that since solar activity now is what it was a century ago, the climate should also be the same. 1. 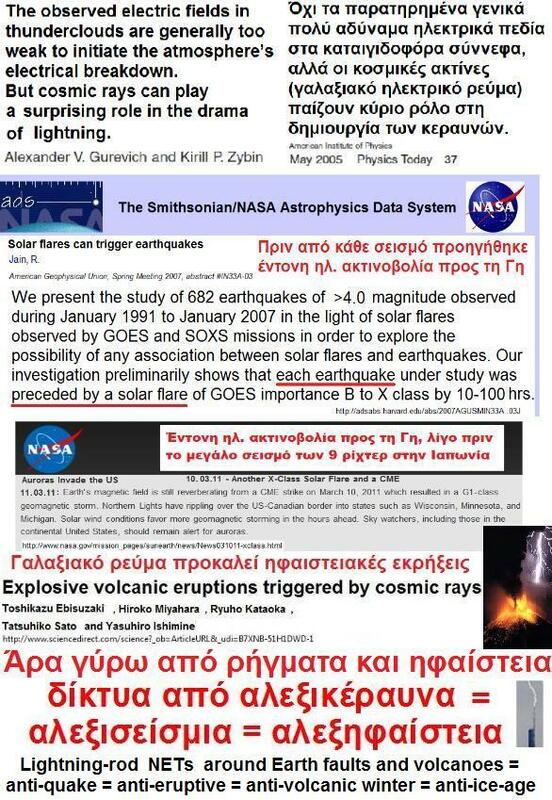 You are suggesting if the Sun was responsible for say 20-30% of the total natural forcing, we therefore should not study or appreciate those effects? 2. Your efforts to compare 1910 with now are misleading and only worthy of a died in the wool alarmist. The planet was in a completely different position. You know the Sun has been following a modulation wave that spans around 172 years. 1910 was near the the bottom of the trough and hence no oceanic inertia. We have just finished the height of the wave with all its associated ocean heat, it will take longer for the solar effect to be recognized. Thank you for your response, a couple points if I may. and the unit is spec’d at 1%, with a drift of 1.5% over one year. Unless the observations are made from space with some exceptional equipment, I would find statements of such accuracies suspect. out side of the atmosphere, boresighted on the sun with .01% accuracy both short and long term. I am laboring this point because of the implication that a .1% change in TSI can make a .1 degree change in temperature, and it seems as if much of the AGW climate debate is wrestling with deltas of that resolution, although, in my opinion, any thing past the first decimal point in a temperature discussion is just noise. HOWEVER, getting back to my first point, which I did not make clear,. If the TSI is NEARLY constant, probably within the realm of measurment error, what is the significance of the sunspot cycles ? 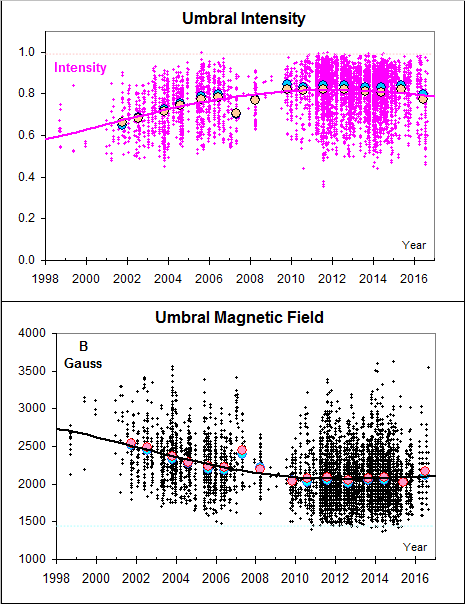 That is in fact how it is done: http://lasp.colorado.edu/sorce/instruments/tim.htm “Relative changes in solar irradiance are measured to less than 10 ppm/yr (0.001%/yr)” or 1500 times smaller than the drift you mentioned. The cycle variation of TSI is more than a hundred times larger than the measurement error, so the cycles show up very clearly, but still only make a temperature signal of less than 0.1C. Leif: The cycle variation of TSI is more than a hundred times larger than the measurement error, so the cycles show up very clearly, but still only make a temperature signal of less than 0.1C. What do you consider to be the strongest solar influence on earth climate. What other solar objects respond similarly as to ascertain it is a solar affect? What change in solar activity and to what extent would solar activity have to be to significantly modify a permanent measurable change in temperatures, given all else equal. And, what galactic influences are moderated by the sun that influence climate? What do you consider to be the strongest solar influence on earth climate. What other solar objects respond similarly as to ascertain it is a solar affect? ??? You have to distinguish between real solar effects [caused by changes in the sun] from apparent solar effects caused by changes in the Earth’s tilt and orbit [in turn mostly caused by Jupiter]. What change in solar activity and to what extent would solar activity have to be to significantly modify a permanent measurable change in temperatures, given all else equal. If TSI would increase 0.1% the temperature will rise 0.07C. If the solar change is permanent, the temperature change will also be permanent [and measurable over long enough time: say we measured T for 1000 years before the change and for 1000 years after the change, then I think that we can beat the noise down enough to detect 0.07C]. And, what galactic influences are moderated by the sun that influence climate? none, IMO. This does not mean that galactic effects never have any effect [a nearby supernova or a very dense molecular cloud would do wonders], but they would not be moderated by the sun. All of this is my opinion and is not up for discussion. Should persuasive evidence be found for otherwise, I’m always willing to learn and change my opinion, but in the 40 years I have studied this, no such evidence has been produced to my satisfaction. Lots of wild claims [some going back 350 years], but no compelling and energetically viable ones. Ok, granted the sun is nearly the same for few years, but climate is not the same, at least not in the area I research data for. So what has changed in the last 100 years? 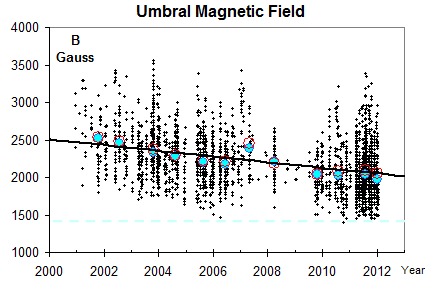 Our good old friend the Earth’s magnetic field, lost in its intensity about 10% since 1850s, and that is a lot. ( as developed from existing data by our very own M.A.Vukcevic). but that text considers only the NAO on the N. Hemisphere’s winters ? Yes, winters are the ones that moved, summers stayed more or less still. Why then M.A.Vukcevic has not published his NAP data and physical principles behind it (the graph shown on the WUWT first time some 18 months ago)? Simply time is not right, there are some ‘long established beliefs’ (not physical principles or laws) that will need readjustment. The right time is approaching fast, since the AGW shaky CO2 ppm (parts per million) hypothesis is evaporating into ‘thin air’ and the natural variability sponsors aren’t having a horse able to jump over the last hurdle of the wide acceptability. The UN had predicted that by 2010 there should have been 50 million climate refugees due to man-made global warming. It could be that they may actually be right, partially right, becasue we may soon see climate refugees moving from the cold climes that are bound to become unbearably cold, to the warmer climes. Hence, if they warmists blame the cooling on anthropogenic CO2, then they would be able to blame AGW for the cold-to-warm climate exodus. Same as the Vikings exodus from Greenland back to mainland Europe. Leif: What is your opinion on the CLOUD experiment and how does it connect to our magnetic field with respect to climate. What affect does the magnetic field have on atmosphere density and global climate? If you were to think of the many variables that could change global temperatures, how many would that be and how would they be weighted? It would seem to me that it is too chaotic with too many unknowns to be prevent any real accurate sense of future climate. I appreciate the feedback from you and others on this post. When I get into a bare knuckles “discussion” with some CO2 maniac, I need all the “facts*”, as they are best understood currently, in my ammo belt. It would appear to me that while the sun is a factor in global temps, it is not a primary, or >10% factor as Willis would say, in the current debate regarding 2 or 3 degree swings in average surface temps. Personally, this is a disappointment, as it would be an easy explanation to hang your hat on. The CLOUD experiment just showed what we have known since the 1920s: that ionization promotes formation of cloud droplets. I don’t think the magnetic field has anything to do with the climate. I found this link in relation to an earlier paper you published. Does it have any merit or is it just flaming? I noticed that too as well as the complaints about “grammatical errors”. I trying to defend Archibald on a local blog and my opponent is harping on the use of 5 rural stations used by the paper. Is there any credence to the criticism about or Is it relative in this case? The discussion here suggests to me that the current proxy, terrestrial and satellite measurement values for TSI over the last 1000 years provides a reasonable basis for arguing that the sun is unlikely to be the dominate factor in climate shifts over that period. Some historical records add to the basis of the argument. The current proxy, thermometer and satellite measurement values for GMT (Global Mean Temp) over the last 1000 years provides a reasonable basis for arguing that mankind is unlikely to be the dominate factor in climate shifts. The current proxy, terrestrial and satellite measurement values for global mean atmospheric CO2 over the last 1000 years provides a reasonable basis for arguing that all sources of CO2 combined are unlikely to be the dominate factor in climate shifts over that period. Arguably, all sources of CO2 combined may not reasonably be expected to be a significant factor in climate shifts. All of the above leads me to suggest that the scientific community needs significantly more research by truly independent scientists (a.k.a. skeptics), as opposed to those IPCC centric scientists who believe they are on the side of a ‘cause’ that have dominated the climate alarmism for the last +25 years. So we end up with a ‘Modern Maximum’ instead of a ‘Modern Grand Maximum’. That hardly invalidates the distinctly possible correlation between sunspot number/cycles and climate. Sorry, Leif, but those temperature plots (pink) do not take urban heat island into effect. If you adjusted the pink temperature plot by 0.5oc (either make the past warmer, or the present cooler), I think you would find that there is a very good correlation between temperature and your green solar cycle plot (I presume the green plot is peak to peak and trough to trough?). Then what would your scatter-plot look like? Sorry, Leif, but those temperature plots (pink) do not take urban heat island into effect. Nor does it correct for AGW [as Lassen and Friis-Christensen want to do]. No corrections can rescue this sorry nonsense. But, I recognize that true believers can’t be swayed by anything. I came to the climate discussion some years ago as a true believer. I’m a liberal Democrat with the usual keen sense of environmental responsibility that implies. Most skeptics like to mock such a mindset. To write with a straight face that I do feel that we need to be good “stewards of the planet,” is to invite great derision and accusations of tree hugging and Gaia worshipping. I’ll never forget something Rush Limbaugh once said regarding global warming, that God would never have created an atmosphere that was not self-correcting, so we could go on polluting without fear. I could barely believe my ears. So as you can imagine, it took quite a lot for me to begin to see through the scam that is CAGW. And yet at a certain point it became clear to me that there just wasn’t any there, there. That same insight happens over and over again, and each time I find it shocking. Dr. Svalgaard, your statements above are just so weak. First, your contention that the if the sun is not the major driver then it’s not even worth talking about beggars belief. I can only imagine that you misspoke. Second, it doesn’t take a scientist to understand that while solar activity might be close to what it was a century ago, there must be other factors at play, Again, I’m not a scientist, but is our position relative to the sun precisely the same as it was then? Maybe it is, maybe it isn’t. I’m just asking. There are others who could do an infinitely better job than I of enumerating conditions which are not the same as they were in 1910, and that might have important climatic implications. So I won’t even try, but I invite others to jump in. Meanwhile, the long range forecasters who’ve been beating the AGw modelers season after season, year after year (check out UK Mets recent series of fiascos with their ongoing warm bias…with their perennial calls for barbecue summers and warm, snowless winters)… are all in agreement on one thing: that we’re entering a cold cycle. That cycle has already begun with the cold PDO and when the AMo flips, watch out. You simply put your credibility in jeopardy when you dismiss the possibility of a flip to cold under the current solar regime. Didn’t misspeak. The Sun is absolutely worth ‘talking about’. I have been studying it for 40+ years. What is not worth harping on is the alarmist cries that because of the sun millions are going to die as we plunge into icy conditions. Usually the null-hypothesis is that when everything is the same, the results are the same. Since the results are not the same [temps have risen] other non-solar factors must indeed be responsible. Some people know precisely what those are. Again, I’m not a scientist, but is our position relative to the sun precisely the same as it was then? Maybe it is, maybe it isn’t. This is an observational question and the observations we have point to the sun being the same. are all in agreement on one thing: that we’re entering a cold cycle. That cycle has already begun with the cold PDO and when the AMo flips, watch out. You simply put your credibility in jeopardy when you dismiss the possibility of a flip to cold under the current solar regime. The climate changes all the time. I do not dismiss the cold coming, just that it has nothing to do with the sun. You have a couple of weasel words there: ‘apparent’, ‘pure’, … The answer is that there is not a correlation strong enough to take seriously. And, BTW, the Sun does have an influence: 0.1C. Just not big enough to worry about, and besides, not something we can do anything about with a return on investment that is worth taking. How many trillions should we spend trying to avert 0.1C? The climate changes all the time. I do not dismiss the cold coming, just that it has anything to do with the sun. Look Doctor Svalgaard, I greatly appreciate your patience and courtesy. I respect that you’re willing to engage in a dialogue. Most scientists of the AGW persuasion don’t have the courage. Of course they’ll say they can’t be bothered to waste their time with a bunch of flat-earthers and fossil fuel shills, but the truth is they won’t debate because they’re afraid. You on the other hand are brimming with confidence. It’s a nice change. I’ll leave it at this, doctor. In support of your thesis that solar minima do not cause a cooler climate, you’ve submitted into evidence the current relatively warm climate. You mentioned that (2008) as 1 of 2 minima not associated with cold temps. And yet you’ve also just stated that even if we do get cold…and according to the long range weather guys who’ve far and away had the most success in this area, we are engaged in that very process as we speak…. it will have nothing to do with the sun. This strikes me as attempting to have it both ways. Heads you win and tails I lose. One sees this all the time in the AGW wars. NO matter what happens in the real world, no matter how inconvenient the data, no matter how poor the predictions, their hypothesis is always right. The years pass and weather eventually become climate. I think we can at least agree it will be interesting to watch what happens. This strikes me as attempting to have it both ways. Heads you win and tails I lose. Even if it turns a bit colder we are still way above what it was a century ago. If the temperature drops 1.2C and stays down, it would be a different matter, but that has not happened yet and you are welcome to present reputable predictions that we are headed there. A link from 2007 – has it been that long? Sweet memories. I appreciate the effort that the warmers go to to keep that link near the top of a Google search on my name. Their respect continues to this day. 1775 to 1781 was the second warmest span of years after the 1730`s. Considering that the thermometer record starts in 1724 for F. and 1742 for C. it seems to be constrained by the fact that the record is limited to Europeans keeping records (Ben Franklin being an exception to the rule). In the same way that the 1778 solar max is associated with conspicuous warmth, 2008 is associated with a conspicuous chill. But neither is the climate is a random walk, and though it may be a complicated puzzle with many interrelated and dynamics pieces, just as we have slowly figured out the various dynamics that make up the operations of the human body, so too, the climate puzzle is slowly being revealed through the hard work of thousands of scientists. In term of some cold period coming– I would not count on it. A flattening of global tempersture rises does not a cold period make. All indications are that the main thrust of the 21st century will be to higher and higher tempertures with ever increasing greenhouse gases as the underlying cause. All the antics of several commenters ignore the fact that the temperature back then during the very high solar activity was much lower than now during very low activity, but rational thought seems to be severely lacking, replaced by rabid ignorance and wishful thinking, fully matching with opposite sign that of the worst Joe Rommish CAGW. Sigh. Gates, with regards to your 21st century outlook there is something else going on besides man made GHG & CO2. Volcanic activities began picking up in 1995. Really 1991 if you want to count Pinatubo and Cerro Hudson. The stratosphere hasn’t been blasted for any multi-year period by large eruptions yet and is clear. That is completely different at lower altitudes. For example the recent Iceland volcanoes didn’t make stratosphere at all really. Same in Chile, same in most other regions. I believe the low altitude volcanic aerosols and gasses cause much of the low altitude warming. “Rational thought” includes the ability to recognize that solar cycles cannot be treated in isolation. Rational thought would indicate that the cycles preceding the cherry picked cycles need to be realized as having an impact on climate. Think ocean heat inertia. Rational thought would also imply that the “thinker” is capable of excepting that other natural climate drivers (PDO etc) are able to co-exist together and that cherry picking one driver in isolation is meaningless. Rational thought would also dictate that solar effects on climate should not be restricted to TSI alone. “Rational thought” includes the ability to recognize that solar cycles cannot be treated in isolation. Observations show that each of the three centuries 18, 19, 20th have closely the same solar activity: WSN = 57 +/- 6. Therefore each cycle exists in closely the same general environment of surrounding cycles. Rational thought realizes that, indeed, more than 90% of the climate has multiple other drivers than the sun. Rational thought concentrates on the driver with the most energy and the clearest direct effect. Especially when all other solar drivers follow TSI [either direct or inverse]. Disingenuous again. SC24 is preceded by a string of rising cycles since 1910 with the exception of SC20 . SC21/22/23 may be on a decline but are still considered high. Before 1910 there were two weak cycles SC12/13, before that the trend is weakening from a weak base with the only cycle of any strength being SC11. Even with some adjustment to the modern SSN record your suggestion is obviously wrong. The two cycles you compare are not taken from the same portion of the wave. Your other replies are also nonsensical. The two cycles you compare are not taken from the same portion of the wave. Rational thought and ocean thermal inertia dictate that comparing one or two cycles is not reasonable. You must compare many more, say 10. But I would not expect you to understand this given your agenda. Figure 2 of http://www.leif.org/research/Svalgaard_ISSI_Proposal_Base.pdf is a good illustration of the generally even level since 1720. Compare 1720-1800 to 1920-2000. As I said, you are free to fool yourself and think otherwise at your peril. My opinion is not up for discussion. Rational thought and ocean thermal inertia dictate that comparing one or two cycles is not reasonable. You must compare many more, say 10. That is exactly what I have been describing. If we look at the preceding cycles you are comparing two distinctly different aspects of the Gleissberg curve (if you prefer to call it that). This is one of the fundamental flaws of your analysis (opinion). You need to compare 1820-1900 to 1920-2000 to position your chosen cycles correctly. Your logic is false. The difference is plainly visible to anyone with an ounce of intelligence. The graphs in your own referred pdf are clearly showing the same differences in trend. I don’t wish to change your opinion, but when that opinion doesn’t stand up to scientific scrutiny it must be pointed out in the interests of proper science, especially as you are regarded as having some expertise on this forum. This is my only agenda. in 1783 two, in 1784 –one and in 1785 –one, no surprise the CET got depressed. Open the two graphs in separate tabs, then flip between tabs. Note the underlying correlation in trends and direction of trends, with the most extreme spikes typically aligning with cycles. Not a bad case for the sun. Other than the flawed models you so religiously believe in, name one. You might also be more specific in defining your “higher and higher” temperatures. I am adding the above statement to my list of Gatesisms. A Gatesism is a statement by R. Gates, an AGW proponent. He uses catch phrases without regard to magnitude, relevance or context and creates straw man arguments with hopes of hijacking threads. Meanwhile, the IPCC is working vigorously behind the scenes to prove that solar changes are due to humans burning fossil fuels. I don’t think that what you peddle qualifies as scientific scrutiny. Please note the wide variations in CET temperatures, both year-to-year and over short (decadal scale) time intervals. The trend line is based on the data that contain these variations. Therefore, the trend line is unlikely to reflect changes due to atmospheric CO2, since atmospheric CO2 could NOT possibly be the source of such wide variations in CET temperatures: from ~ 7.3°C to 10.5°C (+3.2°C) in ~ 45 years (~ 1690-1735); ~ 10.5°C to 6.8°C (-3.7°C) in ~ 10 years (~ 1725-1735) 1710; and ~ 10.4°C to 7.4°C (-3.0°C) in ~ 11 years (~ 1865-1876). There is zero evidence that the temperature trend of this chart is anything but the result of natural climate variability. Anything to the contrary is pure speculation. Regarding the Wiki CET chart, I am always amused by a temperature record in C. that extends 83 years before the invention of the centigrade thermometer. Wiki sharpens my skepticism again. @Bob Webster: By the way, I am in full agreement that it is entirely with in the range of natural variability. You do know that temperatures can be converted to °C, right? Exactamundo. Not saying that AGW can’t exist. But pretending to see a ‘human fingerprint’ in that rising trend line is trying to pick the flyshit out of the pepper. Notice that the rise in T between about 1690 and 1720 was almost identical to the rise from 1980 – 2008. And CO2 levels were very low three centuries ago. Common sense, the null hypothesis and Occam’s Razor all say it’s simply natural variability. AGW is only a bit player, if that. The chart precedes the invention of F. thermometers by 65 years. Converted from what? The point is that we can analyze a fabricated and faulty record until the cows come home and end up self deluded that the result is meaningful when in fact it is not meaningful. Before climate science was taken over by NASA space cowboys, it was never thought that climate was temperature. It was a study of actual wide ranging conditions on this earth of which temperature was a component. The notion that climate is an average of all temperatures globally is false. Climate is the sum of all things locally, of which temperature is a highly variable component. The dominating dependent variable is actually water. You were referring to the LIA, and Dalton is all done by 1820, so from 1659 till 1820, 1755 to 1781 was the 2nd warmest span after the 1730`s. If you consider the LIA finishing at 1850, then it would be the 3rd warmest as 1822/28 was warmer. Do we ever get a run of cooler years at such large cycles ? Grímsvötn did… and quite well. But in it’s short eruption, it blasted out more than Eyjafjallajökull. Here is the really wild part, the SO2 signature on GOME was quite small (as volcanoes go). It wasn’t until the whole thing was over that a large SO2 signal showed up. Really wild. Imagine if the SO2 emission had been coincidental with the main eruption… back when it was popping the stratosphere really hard. Do we ever get a run of cooler years at such large cycles ? Clearly, no, no and no again. And your original comment: “One of the largest cycles on record was in 1778 still during the little ice age…” implies that you are advocating that the LIA was cold all the way through, which is ludicrous. Yes, where we find runs of warmer years. Climate is defined as the mean over 30 years. And if seven of those years were warmer, the mean would be higher, so climate is the sum of weather, so what. You were referring to one solar cycle not 30yrs. What is your understanding of the findings in this paper. Is this something that is potentially coming? You were referring to one solar cycle not 30yrs. I was giving an example of a high cycle. There were others nearby. The real test is the totality of the entire 18th century vs. the entire 20th. Looking at a few years is meaningless. The point is that solar activity the two centuries was similar, but the climate was not. If you claim the climate was similar you also claim that the 18th century was not part of the LIA. Smacks of the warmists effort yo get rid of the MWP, except with opposite sign. What is your understanding of the findings in this paper. The confidence level is stated at 95%. This is not quite enough to establish an effect, although suggestive. The abstract notes: “points to an origin outside the Earth system; oscillatory modes within the Earth system can be expected to be far more irregular in period”. I would expect that to be even more the case for the Sun system. The author does not suggest a solar cause [probably for that reason]. The real test would be to verify the cycle with other ice cores. To my knowledge this has not been done. Thank you for the link Dr. Svalgaard. I am a farmer, and understanding climate/temp, etc is of great concern to me. With my occupation, I also feel a moral responsability to grow food for people to the best of my ability. I do not have anywhere near the expertise that you have in regards to the sun, cause, effects, etc on climate. These types of documented cyclical climate disruptions bear study I would think, and I am sure that you have these type of questions as well. We are now within the (+)(-) time frame of another Bond type event. The L&P effect seems to be something peculiar to this cycle. Am I correct in that assumption? 1. Is there any way through isotopic proxy etc to know if the L&P effect has happened in the past near or during a Bond type event? 2. Are there any indications that the current dynamics of the sun are pointing to another Bond type event? 3. The Bond event is an approx 1470 year cycle. Are there planetary motions, orbital parameters as we travel through the Solar system, that are indications of this cycle? 4. I can’t see to find any type of cause/effect for a Bond to occur. As a learned man in this field do you see any type of cause/effect? One with enough certainty that we could prepare as mankind for the potential results of this? Thank you for your time if you care to answer my questions. The L&P effect seems to be something peculiar to this cycle. Am I correct in that assumption? It may have started back in cycle 22 and is getting stronger, but we need to wait a couple of years to be sure. No, although it is possible that the L&P effect was operating during the Maunder Minimum. It is not clear that the events are established. And we don’t know enough about what causes long-period solar cycles. The sun effects Earths temperature. The magnetic activity of the Sun effects how much it radiates, which in turn has an effect on Earths temperature. But this is a marginal effect, on the order of 0.08 degrees centigrade. Further more, the terms ‘modern warm period’ and ‘little ice age’ have little meaning, given that these were mostly regional events. Granted, regional events all around the world, but at different times, at different rates, or for different lengths of time. If the Earth continues to warm (on average! You can’t claim stuff like the CET is a model of Earths temperature, because it contains temperatures of central England _only_) like it has been (as documented by everything from tree rings to thermometers, from the US to Europe to China, north to south, with only minor local anomalies in the data), that warming will far outstrip the cooling expected from the Sun’s lack of activity. These “regional events all around the world” fell within the same time range. They certainly didn’t always occur simultaneously, but each region experienced pronounced cooling during the range of the LIA and each area experienced notable warming during the MWP. The terms do have global meaning insofar as temperature is used as the measure for climate. 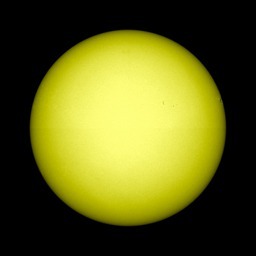 If the Earth continues to warm … like it has been (as documented by everything from tree rings to thermometers … with only minor local anomalies in the data), that warming will far outstrip the cooling expected from the Sun’s lack of activity” your conclusion “warming will far outstrip the cooling” is a prediction, not a documentation. A prediction based on what knowledge? Yes, but with a lot less precise timing. The question of Bond Cycles is still not resolved. It is said that plagiarism is the sincerest form of flattery, but it is bit rude to then stick a copyright symbol on it. The Daily Telegraph says it is quoting a Met Office release, but it is channeling this WUWT post. Praise be to Anthony! Note that my comments above refer to the most recent statements by “Catalyst23” on this topic (I was not responding to David Archibald whose work I highly regard). 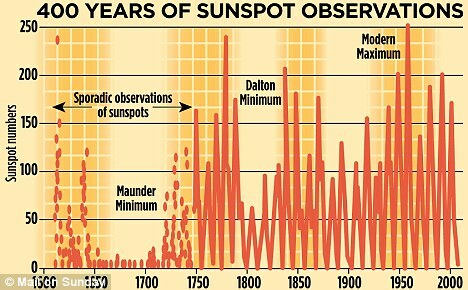 Their last Figure [400 years of sunspot observations] seems to be based on Wikipedia http://en.wikipedia.org/wiki/File:Sunspot_Numbers.png [prepared by Robert A. Rhode http://en.wikipedia.org/wiki/User:Dragons_flight “lead scientist for Berkeley Earth Surface Temperature”]. But the actual numbers on the scale are wrong and in any case different from your Figure that they lifted. Accuracy is not their strong side, apparently. The original Figure showed monthly means which causes large spikes for individual months. The DT Figure shows a thick smoothed curve looking like yearly means which distorts the plot and gives a wrong impression of the long-term behaviour. I remember reading what you posted about the SO2 signal. Over at Eruptions where you folks do such a top shelf job. But I must have missed some of the volume part. The honker seemed so short I couldn’t picture that much making stratosphere. Thanks, I stand sort of corrected. And welcome to WUWT! Was it ever named, like the others btw, the not-so-strong ~1900 grand minimum? http://i.dailymail.co.uk/i/pix/2012/01/28/article-2093264-1180A572000005DC-276_468x290.jpg is an artefact caused by gradually changing principles of sunspot record-keeping? Are these not Archibald’s initials? Archibald is not a doctor nor a professor, although he appears happy for people to believe it. Could he also be operating under multiple aliases? A run of 7 warmer years through SC3 is not meaningless. The real test is to inspect each cycle to look for exceptions, such as the warmer but lower SC7 and the cooler but higher SC8. The point is that you went and said; oh look, SC3, a high solar cycle right in the little ice age, as if to say that high cycles do not make it warmer, but you picked a cycle where there is blatantly a warmer period. The trend over centuries has nothing to do with the immediate relative impact on temperatures. And are you saying Leif, that the apparent diminishing strength of grand minima […] an artefact caused by gradually changing principles of sunspot record-keeping? The trend over centuries has nothing to do with the immediate relative impact on temperatures. The trend over centuries is the climate. Dr. Latour (in context) is talking about daytime stellar (solar) temperatures. Think our Moon. It is much hotter on the Moon during its midday. No atmosphere. Therefore, Earth’s atmosphere cools the surface during the day to below what it otherwise would be in the absence of its atmosphere (see Moon). Even if the Sun drops to the Maunder minimum we will only expect 0.13C of cooling. This would not offset the projected 2-2.5 C expected warming. If the Earth continues to warm as it has been, as documented here, then that warming will outpace any cooling due to low activity on the Sun. Thanks. If global climate would be more solar-sensitive in a low solar grand-minimum effect range than in the alleged “grand-maxima” range, then it seems I could suppose grand-minimum strength driving longer-term OHC remains a viable hypothesis. One cannot prove a theory (or even support it evidentially) with computer-generated projections for the simple reason that the computer models are driven by the same assumptions as the theory! There has never been any credible scientific “evidence” that greenhouse gases play a significant role in climate change over any meaningful time period (e.g., LIA, MWP, interglacials, ice age cycles, ice epochs, ice eras). In fact, there is massive geologic evidence that atmospheric CO2 and global temperature are uncorrelated over the past 600 million years. Until there is, AGW is simply speculation based on a dubious foundation. 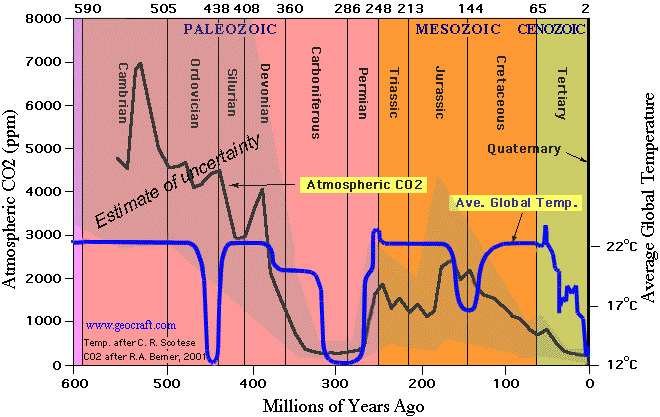 I should have clarified that there is no evidence that atmospheric CO2 is a driver of temperature changes over any time period and, in fact, over scale of tens of millions of years of the past 600 million years there is no correlation between atmospheric CO2 and global temperature. There is correlation over the time frame of ice age/interglacial cycles, yet that correlation is based on temperatures changing before atmospheric CO2 (not very helpful evidence to support the AGW contention that atmospheric CO2 changes drive temperature changes). There is no point in looking at 30yrs when we are discussing the impact of one particular solar cycle on global temperatures. We are not discussing that. A single cycle [or a single year] does not impact the climate because of the inertia of the oceans. This golden oldie myth of an impending ‘mini ice age’ has done the rounds before. It is, of course, total nonense and a quiet sun will not come close to offsetting the warming effect of increased CO2. Peter Sinclair, aka greenman made a good video explaining this. The Little Ice Age: A wide variety of evidence supports the global existence of a “Little Ice Age” (this was not a true “ice age” since major ice sheets did not develop) between about 1500 and 1850 (NRC, 2006). Average temperatures were possibly up to 2ºF colder than today, but varied by region. Nobody can accuse the EPA of being an AGW skeptic. How about the myth of “the myth of a global Little Ice Age”? a quiet sun will not come close to offsetting the warming effect of increased CO2, you engage in pure speculation about what effect atmospheric CO2 has on global climate. If you believe atmospheric CO2 causes climate warming, then it must be that atmospheric CO2 is highly correlated with global temperature. Even a single year can have a large impact on climate, especially where the oceans are concerned, eg as in the lower solar wind speed responsible for the `97/98 and `09/10 El Nino episodes which both had a great impact on climate. And of course the warmer years (1775-81) through SC3 made a big difference to any 30yr period that that was included in. Peter Sinclair believes a lot of funny stuff, so I wouldn’t put much credibility in what he broadcasts. I am banned from posting on his videos because he doesn’t like the links to papers that seem, at one time, to have shown up on his posts.